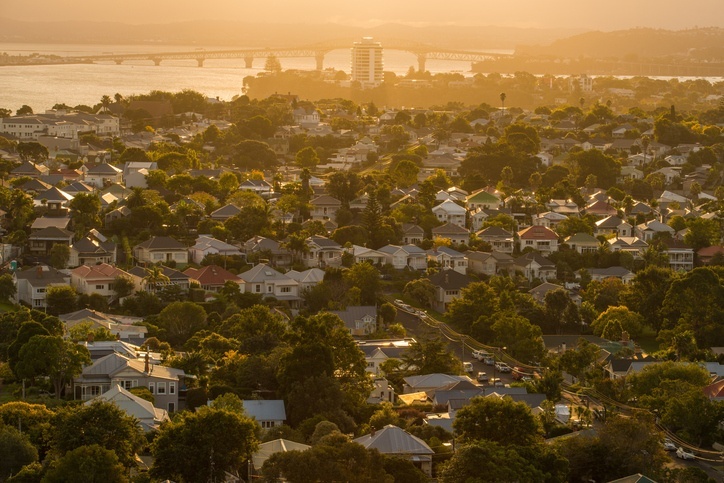 In June, the level of new property listings fell significantly across the nation compared to the same time last year, yet asking prices and buyer interest continued to remain steady, according to realestate.co.nz's latest findings. The figures show three regions recorded all-time listing lows. While in the country's biggest city, listings fell in the month of June and asking prices also dropped to a level not seen since 2017. The findings have a number of implications for the coming year, with more buyers than sellers intending to be active in the New Zealand property market, which will continue to put pressure on housing stock. In this blog, we keep you up-to-date with the latest property news including, changes in asking price, new listings, housing stock and inventory listings throughout the NZ regions. Asking prices in June remained stable nationally, with an average asking price of $646,231, down 0.3% from the previous month. However, significant changes in some regions had an impact on national asking prices. In Auckland, asking prices dropped 2.4% to $931,339 compared to the previous month — similar to the asking prices back in spring 2017. In sharp contrast was the Central Otago/Lakes region where asking prices increased 3.7% to just over $900,000. The results show a narrowing gap between the two regions, said realestate.co.nz spokesperson Vanessa Taylor. "The $30,000 difference speaks more about the individual strengths of an attractive lifestyle region and a major metropolitan hub," she said. Across the country, new property listings fell in 15 of the 19 regions in June - a 9.9% drop compared to June last year. In the North Island, new listings fell in every region except Wellington, which had an increase of 5.5% (574 new listings) compared to June 2017. In the South Island, three regions recorded increases, with Nelson & Bays up 16.1% (166 new listings), Marlborough up 10.6% (new listings 94) and Canterbury up 3.2% (1,089 new listings). Meanwhile, in the Auckland region, new listings fell 14.8% (2,936). Taylor explains that the cold weather has had an impact. “We haven’t seen new listings in Auckland under 3,000 for the month of June since 2014. Typically, in winter we hibernate, and this June was no exception with cold weather felt across the country." The statistics from realestate.co.nz show many more buyers than sellers intend to be active in the New Zealand property market in the next 12 months, which will continue to put pressure on housing stock. Data shows there are around 800,000 unique visitors to online property listings, demonstrating buyers' continued interest in the property market. Users are spending an average of more than eight minutes viewing about eight pages of properties per session. Among the regions, Taranaki was the stand-out performer when it came to asking prices, which were up 13.1% in June to $455,636 compared to the previous month. New property listings were down 18% in the region, creating a "classic supply and demand profile" explained Taylor. If you're considering buying or selling, it's important to stay up-to-date with the latest property news. That's where we come in. If you want to know what's happening in your region or simply get advice about making your next move in the housing market, talk to one of our experts at Professionals Real Estate Group.